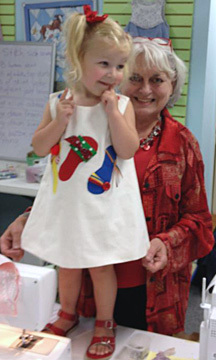 Children’s Corner of Nashville, Tennessee held its Spring Sewing School June 14–16 with Lezette Thomason as instructor. 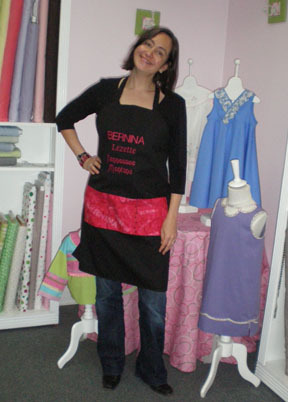 Lezette’s group of 20 students, mostly sewing on BERNINA sewing machines, made five garments in three days. 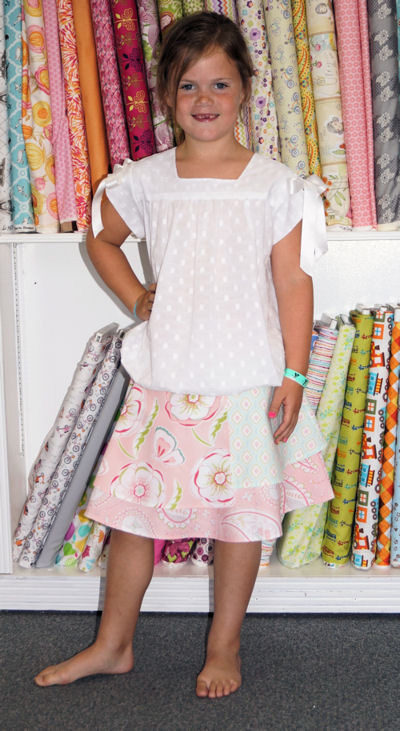 Making these clothes for little girls featured a small amount of redrafting, technical construction using both the sewing machine and the serger and even a little crocheting by hand for embellishment. We did a lot of work and had a great time learning drafting techniques and which BERNINA feet to use to make stitching easier. 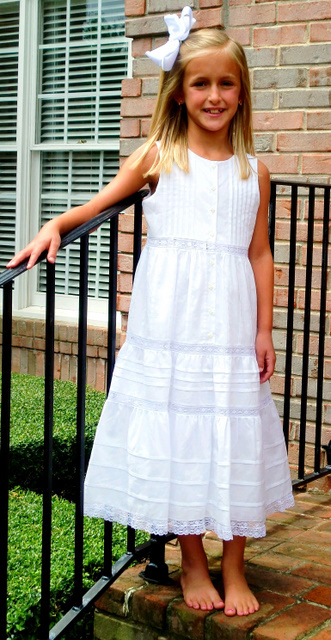 Sweet dress from Lezette’s class. Beach dress from Lezette’s class. 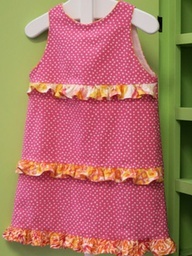 Pretty pink pique dress divided on curves and rejoined with two companion Dear Stella fabrics is finished with third fabric as a ruffle and tiny corded piping. Molly in redrafted blouse and overlaid fabric on flared skirt. Scarlett , who came to visit her student mom, sported red bows and sandles accenting her white Children’s Corner #241 Lucy appliquéd with flip-flops. All 20 ladies in Lezette’s intense class welcomed a breather to admire this little show stopper. If you are in the Nashville, TN area on Saturday, October 6 20112 and have a BERNINA 830, spent some time with Lezette at Bernina Sewing Station in Cool Springs, TN. Lezette will be refreshing you guide lesson with techniques used to do work on this cute pre-made BERNINA apron. Class will be from 10-12.